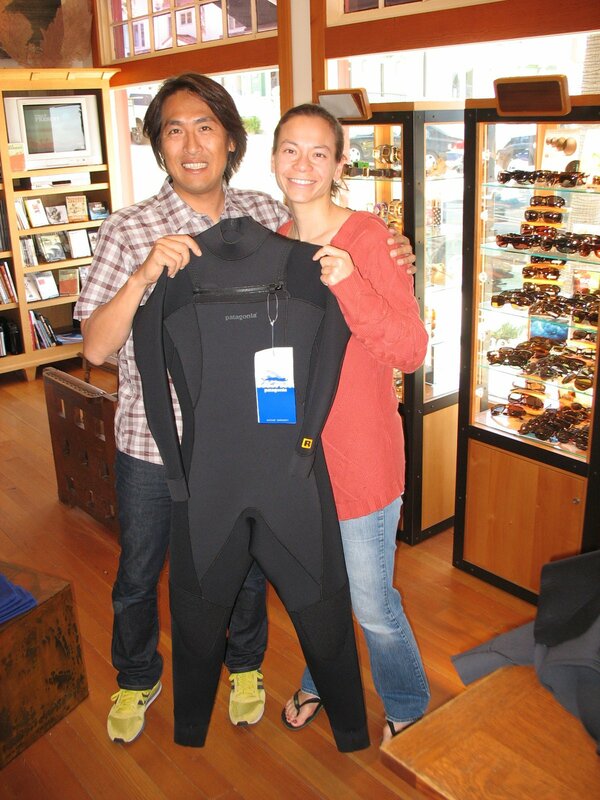 Holly Yang came by Patagonia Cardiff today to pick up the R3 wetsuit she won at the Surf Indian/Tomoe Project “Hang Together” Japan Benefit event last weekend. Congratulation, Holly! Thank you all for your continuing support!